Over 600 vehicles, 35 plus brands, and one great experience. Welcome to the 2019 Twin Cities Auto Show. Every year thousands of people gather together to look at the latest and greatest vehicles packed with new safety features and high-tech options, and whether you are in the market for a new vehicle or not, this is something you won’t want to miss. While all the manufacturers do a good job of promoting their products, there is always one who seems to stand out from the pack. You guessed it, Jeep! What better way is there to promote your vehicles than by putting them through a real-life off-road test? If you went to the show this year, you would have noticed a lot of people waiting in line to experience what has become one of the Auto Show’s favorite attractions. Camp Jeep. Camp Jeep is a trail rated course made up of sharp inclines, bumpy strips, and steep tilts, all designed to showcase the rugged durability of these high-performance machines. 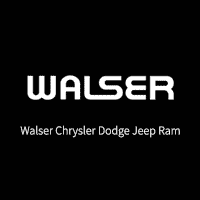 After signing waivers and waiting in line, visitors are then buckled into either a Jeep Wrangler, Grand Cherokee, Compass, or Cherokee to experience first hand the capability of these vehicles and see why the Jeep brand has become a huge favorite among American drivers today. Check out the video below to see what Camp Jeep is all about! It’s hard to watch that and not say “wow”, but it’s even harder when you have actually been through the course. Here is what a few first-time riders had to say about their experience at Camp Jeep. Whether you attend the Twin Cities Auto Show every year, or you plan to go for the first time, we would highly recommend that you try Camp Jeep, and experience the excitement that comes with riding in a Jeep. Already familiar with Jeep and the performance capabilities that come with their vehicles? Then head over to KingofJeep.com and browse our inventory or check out our current specials. Our trained Jeep experts are here to help you find the right model and features to best fit your driving needs and budget. Stop in today and see how we can help!